This Unfortunate was doing a childrens show when the the zombie apocalypse happened. Now he roams the studio’s halls looking for a new audience… to attack. Find him in the Creatures Section of the Victory Store. One of over 1000 figures available in the Victory Store. 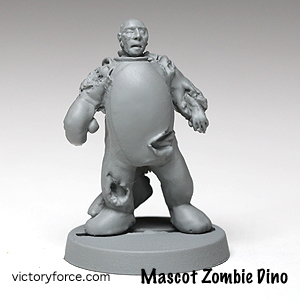 This entry was posted in Spotlight and tagged 28mm, spotlight, zombies. Bookmark the permalink.